Christy goes above and beyond. She is very knowledgeable whether you are buying or selling. She assisted my parents and my son in finding a house and just recently she helped me sell my house. I would absolutely recommend her. I interviewed a few of realtors to sale my home. One of them wanted me to make several cosmetic changes before listing my property. Possible these changes would have made their job easier, but it also could have proven to be a waste of time and money. Christy marketed the property as it was without time consuming changes that were, in the end, unnecessary. Also, my home was a small-acreage horse farm in the country that would appeal to a limited audience. She promptly went about putting it on the market, kept me informed, and continued to look for creative ways to present the property so it would appeal to as large an audience as possible. Christy truly earned her commission as well as my gratitude. We came from Texas to re-locate to Ohio and Christy was referred to us by a friend. She did a great job. She knew all the areas and we found a home within a week. She took us everywhere! She was great! Christy helped me through all stages of selling my house. Once I was in contract she quickly helped me purchase another house. With her help I was able to move straight from my old house to new house. She made the process easy. I would recommend her to anyone trying to buy or sell a home. I could not be any happier than my decision to work with Christy Sinningson. As a first time home buyer she could not have made the process any easier. She was really knowledgeable of the area and knew what we would or would not like. She was extremely flexible, willing to take time out of her weekend to show homes. She was super patient explaining all of the house buying jargon and walking us through the process. She was always more than happy to show us what we wanted even if it was last minute. Always professional but very personable. Truly fantastic and I would more than recommend her to anyone! Christy Sinningson is very knowledgeable in her field. I highly recommend. We had a great experience working with Christy to sell our house. She came out to meet with us to discuss what if anything we need to do to prepare our house to list as well as coming prepared with other listings to get a good idea of our home value. During the period we had our home for sell she always provided us plenty of advanced notice to show our home and also follow up with other realtor for feedback. We would highly recommend Christy as a realtor to buy or sell a home with. If you want your home to sell quickly and at a fair price contact Christy. I have known Christy for about 11 years and used Christy for selling two homes and buying one. She is very good about keeping you informed during the sale, and also got both of my homes sold in a short amount of time. When I was looking for my new home, I called on Christy quite a bit to see homes in the evening, weekends, and even saw a few several times. She was always available and very helpful in my search. I was very satisfied with her services, and if the time comes to sell again, I wouldn't hesitate to hire Christy again. My experience using Christy Sinningson as my realtor could not be more positive. She was with us every step of the way and was so helpful. She has extensive knowledge of the area and is always ready to answer any questions! Christy was amazing from day one! She is very thorough, hard working, patient, experienced.... I could go on and on! She sold our house quickly and got us the home of our dreams within our ideal timeline. We would recommend her to anyone who is looking to buy or sell a home! Thanks Christy!!!!!! Christy was amazing to work with. She would call back and explain things during the process very quickly. We always knew we could reach her if we needed to! She was very honest and trustworthy! We will definitely use her again and have recommended her to many friends and family! 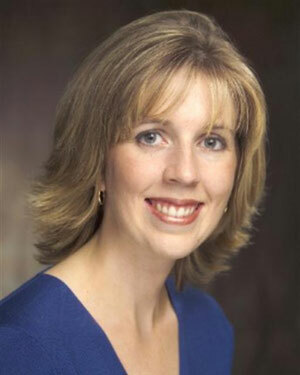 Christy Sinningson is an amazing real estate agent and a pleasure to work with. Being a first time homebuyer was daunting, but Christy went above and beyond to help me feel at ease throughout the whole process. Christy worked hard to find me the perfect home in the right neighborhood and I am so happy with my purchase. I recommend Christy to all of my family and friends and am looking forward to working with her again when I sell my first house and buy again. Was an absolute pleasure to work with! Being a young home buyer was very intimidating, but Christy helped explain everything I needed to know and was very warm and inviting. Would recommend her to anybody! She is absolutely fantastic at what she does an excellent choice if you're looking for a real estate professional! Christy is an A++ agent. We met Christy when we moved to Ohio for our family's housing needs. Who knew that would form a friendship for years. We have been with Christy through two listings (2012 and 2016) and a purchase(2016). She has numerous years of real estate knowledge that shows in her work. She is always prompt to assist with answering questions and concerns to lead your family to their ultimate goals and dreams. Her personality is award winning as well and you and your family are not just a client to her but a true relationship. Working with Christy was a fantastic experience. She helped us find the home we've always wanted, and the entire process went smoothly. I would recommend Christy to anyone who wants a down to earth approach and tough negotiator. She gets it. Thank you Christy. We love our new home! After working with several other realtors that were either high pressure or unresponsive, a friend recommended Christy. She is everything you want in a realtor -- extremely knowledgeable of the markets and processes. She listens and follows through. Initially we were just "keeping an eye out" for potential homes - she provided the right amount of interaction, and when we were ready to purchase she was on top of everything, making it a very positive experience. Working with Christy was the best decision me and my fiancé made when looking for a home. She is extremely knowledgeable and personable. We looked at a lot of houses before finding our dream home and she was right there with us every step of the way. She was never in a rush for us to put in offers and was very respectful as this was our first time buying. We started off with tunnel vision and probably would have bought the first house we stepped in but she was there to to show us things we would have never seen. We ended up in Centerburg which is exactly where we wanted to be. She was receptive to what we had on our wish list and made it her goal to get us in the perfect home. We had a great experience working with Christy to sell our parent’s house. When she came out to meet with us to discuss what was needed to do to prepare the house to list, she was well prepared to help us get a good idea of the home’s value. Christy patiently listened to our concerns and wishes, and kept us in the loop every step of the way and always explained things. We could not have been happier with the result and speed in which she was able to find the perfect buyer for the house. When the need arises, we will definitely contact Christy for any home purchase or sale. Our situation seemed impossible!!! Requiring a cash buyer, our house was on the market for nearly a year. We were ready to give up when Christy came to our rescue. She took on our peculiar situation as her personal mission. Christy went above and beyond to insure the sale of our house. When we were ready to give up, she was our encouragement to keep the faith. We were prayerfully patient and what seemed impossible finally became a reality. Our dream has come true thanks to Christy's hard work and persistence. We will be forever grateful for her professionalism and friendship. If you are looking to buy or sell, Christy should be your realtor!!! I contacted Christy based on her sales success in our local area. We needed to quickly sell my mother's home to allow her move to an assisted living facility. Christy met with us and describe the process and what we could expect. Her information was accurate and the home was sold for more than listed. The sale closed within 5 weeks of listing. I (my family) highly recommend Christy. Christy was incredible to work with! She knew the area perfectly and how that would benefit us. Her experience resulted in a price that was far beyond asking. When selling our house she was able to get us a price well beyond asking! Christy is the best! Christy was fantastic in helping look for my investment property. She's very responsive, helpful, and she knows her stuff! I would highly recommend her to anyone. It was a pleasure working with Christy. She helped me to make my home ready for showing, and she was patient with my questions. She also helped me to find my new home. I enjoyed touring homes with her, she knew what I was looking for and we had fun when the houses were not what I was looking for. I would definitely recommend her and use her again if I decided to do this again. Christy was very pleasant and easy to work with. She answered all my questions and always returned my calls in a timely manor. I enjoyed working with her , and if I ever need another realtor she would be the first one I would call. I will always tell friends and family what a Great job she did and recommend her. Christy was such a wonderful help! Any time that I needed to look at a house she was available for the time I requested! I had no problem getting ahold of her and she would always respond as soon as she got the chance. While looking at all the houses she would tell me how close the schools are for future references, she would also help me think of new ways to renovate the house to make it feel a little more like home. She was a wonderful help and helped me get the best deal possible ! 10/10 would recommend! Christy has been our agent multiple times. She is very knowledgeable and can guide you through the buying or selling process with ease! I would recommend her to anyone looking for a great agent! Christy was absolutely amazing and wonderful to work with not only in the sale of my home but all during the preparation stage as well. I continue to look to Christy for advise and guidance as I take the next step toward purchasing or possibly building my next home in this area. We had an excellent experience with Christy. She helped us with building our new home as well as selling our old one. Everything went smoothly. If we had any questions or concerns, Christy was always willing to help. I would recommend her to anyone selling in the area. Christy was highly referred to me and I was impressed with her, also. She is very familiar with the area and took the time to just talk to me to see my likes and dislikes. My home sold quickly with no issues at all so Christy is now helping me find a new home. I never feel like she is pushing me into just any home to make a sale... She knows my style and what I like. I would certainly refer her to any if my friends.